YES! No. No way. OI LOVE IT!!! Excellent work, font design absolutely consistent, as is your usual way to create typography. Congratulations! FontStruct Staff have deemed your FontStruction worthy of special mention. 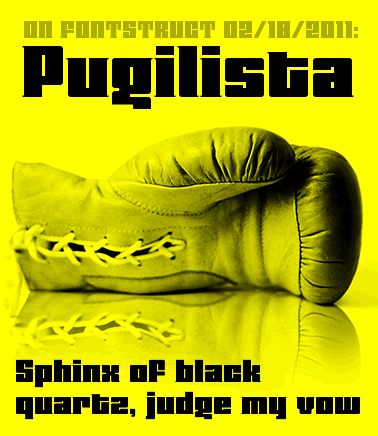 “Pugilista” is now a Top Pick.